Do you require an immigration medical exam to adjust your or your family’s citizenship status? 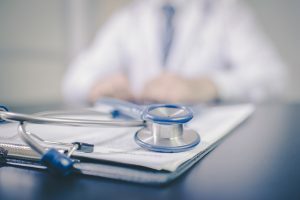 If so, consider having your examination performed at Vital Urgent Care – one of the top medical urgent care facilities in the greater Costa Mesa, California, area. We are a walk-in urgent care center with Yale-trained and Board-Certified physicians, a friendly and knowledgeable staff, and a state-of-the-art medical facility that allows us to perform all that is required for your immigration examination. Furthermore, be sure to bring along a government-issued form of identification, such as a valid driver’s license or passport, as well as your Form I-693. This is the medical form required by the INS to adjust the status of you and your family. Your doctor will fill out the rest of the form and give it back to you to submit in a timely manner. For more information about receiving an immigration medical exam at our facility near Costa Mesa, CA, contact Vital Urgent Care today. Our office is open from 8 a.m. to 8 p.m. Monday through Friday and on weekends from 9 a.m. to 5 p.m.